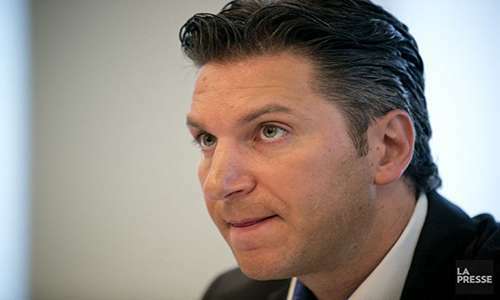 The insider-trading trial of former Amaya, Inc. CEO and president David Baazov will continue as scheduled, following the denial by Quebec Provincial court Judge Salvatore Mascia of a motion by Baazov’s defense counsel to stay the proceedings due to timeliness concerns. The trial of Baazov, two long-time business associates, and three corporate entities will now continue as scheduled — at least until the next wave of defense motions is filed in the case. This latest challenge was filed last month and was based on prosecutors delays in forwarding to Baazov’s defense as many as 16 million data items that had been seized as part of the investigation by Quebec’s securities regulator, the Autorite des Marches Financiers (AMF). Baazov and the two other humans among this trial’s six defendants, Yoel Altman and Benjamin Ahdoot, face up to five years in prison and $5 million in fines on the charges, which involve alleged insider trading activity on several major corporate deals involving Amaya, including the massive $4.9 billion reverse takeover of PokerStars parent Oldford Group in 2014. Meanwhile, the ongoing suspicions that David Baazov was long acting as an ownership front for others continue to grow. Last fall, the AMF raided the offices of Hypertek, a Montreal-based startup described as a “leading provider of customized IT solutions and services for small- and medium-sized businesses,” and confiscated several devices belonging to Hypertek’s CFO, Nathan Meirovici. Court filings obtained by Montreal’s La Presse show that the AMF believes Hypertek was used as a front for a secret ownership bloc officially controlled by Baazov. However, according to AMF filings, and based on messages seized from David Baazov’s cell phone, 75% of that bloc was actually owned by Baazov’ older brother, Ofer Joshua Baazov and his long-time business partner Craig Levett. The AMF has alleged that this secret deal dates all the way back to 2007 and covers all of the Amaya corporate transactions where insider trading has been alleged, some of which also resulted in direct profit for the older Baazov and Levett. The two men were the primary owners of the earlier company, Cybertronix, that actually became Amaya, among many skeletons rattling around in these closets. (Josh Baazov allegedly owned 50%, Craig Levett 20%.) Both men were also known to have conducted unofficial business on behalf of Amaya for several more years, despite attempts to cover their tacks. And, as we’ve reported previously, the older Baazov and Levett were the owners and operators of the old offshore BetonUSA operation that folded into the night over a decade ago, under pressure from US authorities pursuing offshore sports-betting operations. In folding, BetonUSA left over a million dollars in player deposits unrefunded. Josh Baazov, though, was an old hand at running away from debts. Back in the late ’90s, he was also ordered by the US’s Federal Trade Commission to pay $777,000 after being found guilty — in absentia, it seems — of defrauding thousands of elderly US citizens via phony prize-promotion schemes. Baazov never paid a penny on that judgment, a Canadian investigation later revealed. Though Amaya issued strong denials when these matters re-emerged, they haven’t gone away. In fact, they’ve rebounded stronger than ever, and they even take on a element of importance for the now-renamed Stars Group. There seems little doubt that if David Baazov’s alleged role as an ownership “beard” is indeed true, than the old Amaya lied to both securities and gaming regulators the world over for many years. Though it’s unlikely the current Stars Group would be stripped of its many international licenses, there may still be heavy fines to pay, in addition to the removal of any remaining company figures with ties to the Baazov regime. The AMF has yet to file formal charges against many of the other figures involved in the widespread insider-trading and false-front allegations, though it is certain the investigation is both continuing and expanding.